Learn from a Hall of Fame Keynote Speaker how you can increase the quality of your presentation, content, and delivery. Meetings and Conventions magazine named her "One of the 10 most electrifying speakers in North America." 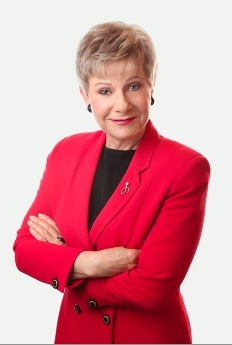 She delivers high-energy, high-content, and dramatically memorable presentations. Kiplinger's Personal Finance named her speaking school the sixth best way to invest in your career. In 1984 the 4000 member National Speakers Association elected Patricia their first female President. She has won or been awarded most honors NSA bestows. These include the CSP Certified Speaking Professional, CPAE Hall of Fame and their highest award the Cavett. Many consider this the "Oscar" of the speaking world. For a young woman who was born in a small town in England, who arrived in the US with $500, with no job and no contacts and a belief that anyone can do well in America she has done pretty well.